The flavours of Sardinia and imagination while dining, 10 restaurants all to try and enjoy. The quality of life is obvious from how one eats, and this is why the Resort & SPA Le Dune as is normal according to the high standards of Delphina hotels & resorts, dedicates particular attention to the choice of ingredients: the freshest meat from the Gallura hills and fresh fish coming directly from the fishing harbours of Isola Rossa and Castelsardo. 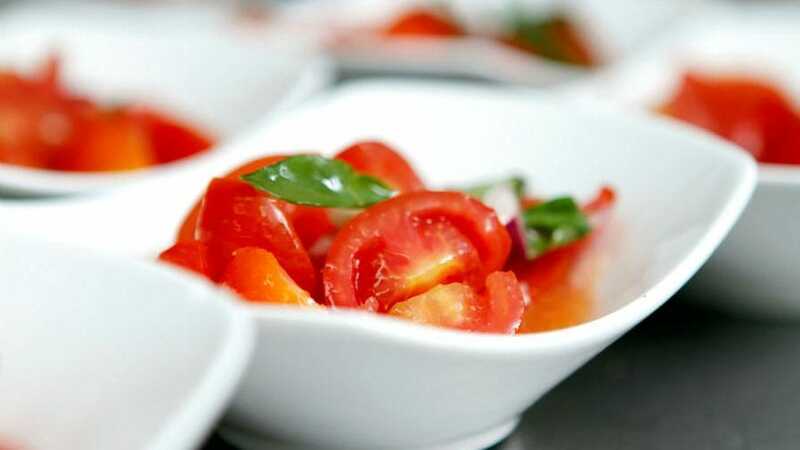 Fruit, vegetables and everything else immediately available accompanied by typical local wines from the best oenogastronomic Sardinian selections. 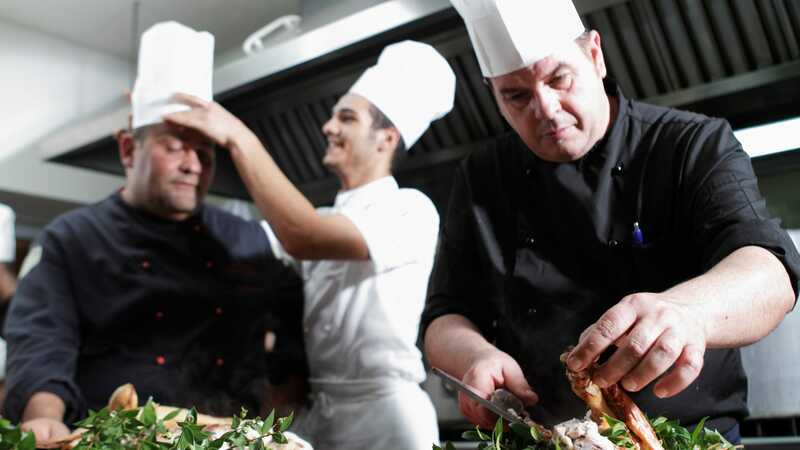 Every day, our chefs will surprise you with a selection of menus ranging from the flavours of traditional Sardinian cooking to the best of Mediterranean dishes, without forgetting delicious pizzas, of course. Spring water with your meals is provided from the hills of Tempio Pausania, together with house wine (this last is not included in the Romantico, Il Leccio, Il Fico d’India and Scorfano restaurants). The opening of bars and restaurants is at the Management’s discretion. 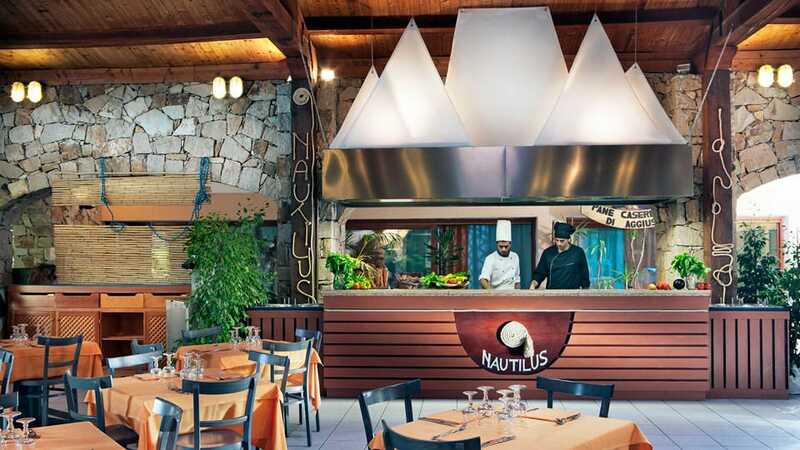 The main Resort restaurant, refurbished with a Show Cooking area with food prepared in full view, offers a rich buffet with Mediterranean and international cuisine. 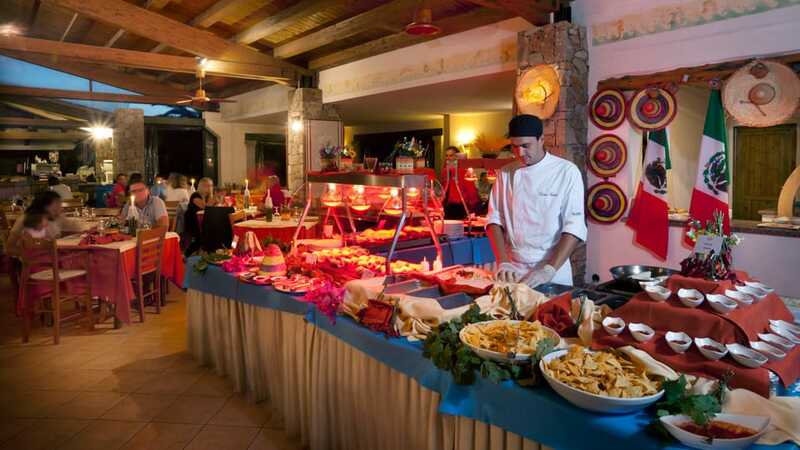 Themed dinner evenings, lunches that are both tasty and light with the Mediterranean Brunch® option, a light buffet that includes a wide selection of both hot and cold first courses, imaginative salads, pulses, vegetables, cheeses and fresh fruit. Spring water and house wines are included. Open for lunch from 12.30 to 14.30 and for dinner from 19.30 to 22.00. Booking is not necessary and there is no extra charge. Restaurant with buffet service. Spring water and house wines are included. Open from19.30 to 22.00, booking required. No extra charge. 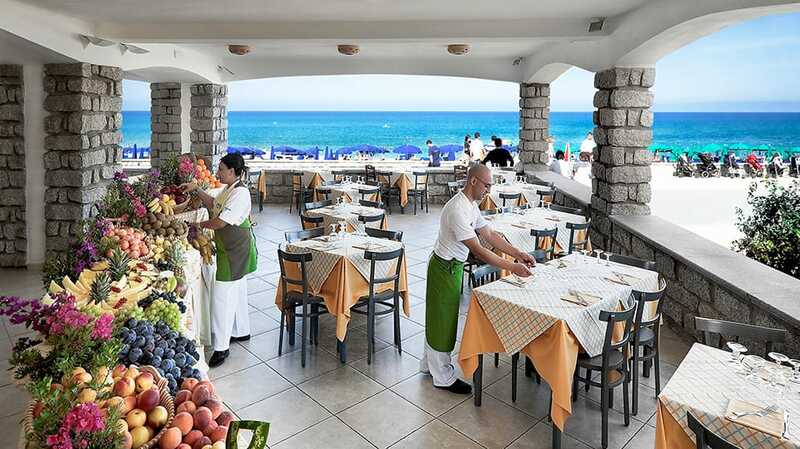 You can enjoy the typical Mediterranean Brunch® on the panoramic terrace just a few metres from the beach, a varied tasty buffet that offers a wide choice of hot and cold first courses, imaginative salads, pulses, vegetables, cheeses and fresh fruit. 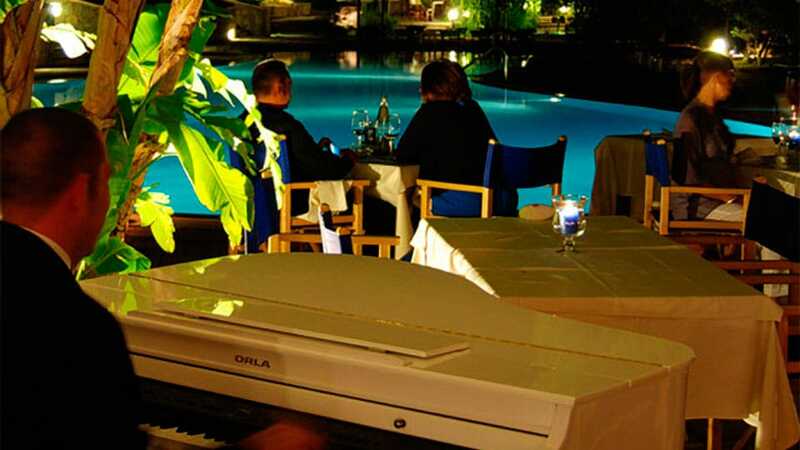 Dinner buffet style can be enjoyed watching the sun set and includes hors d’oeuvres, Mediterranean style first courses, fresh pasta specialities and fried fish. Spring water and house wine are included. Open for lunch from 12.30 to 14.30 and dinner from 19.30 to 22.00, reservation required, and no extra charge. 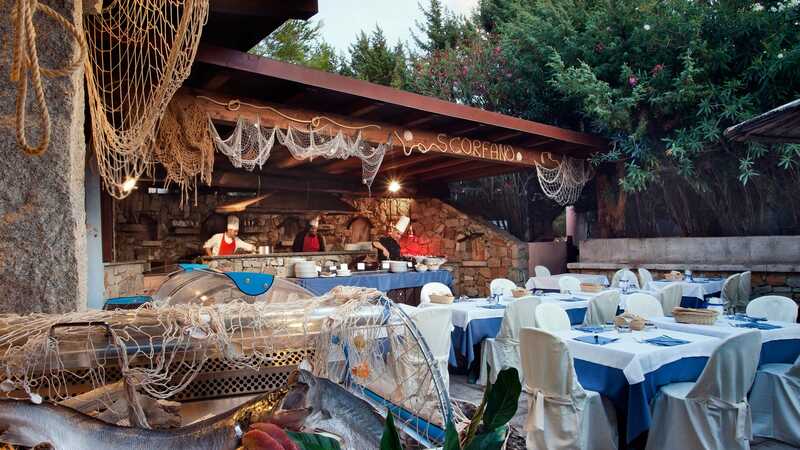 Spectacular restaurant in typical sea-side style with decor that follows a marine theme. 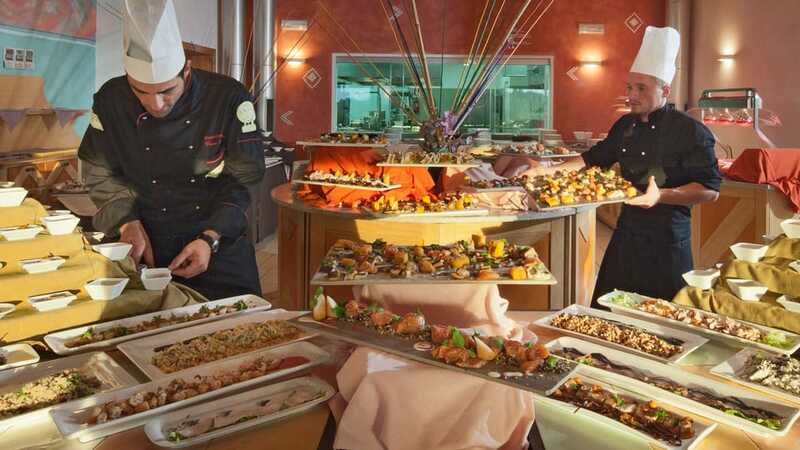 The buffet style dinner includes sea food specialities, delicious hors d’oeuvres and first courses, fresh mixed grilled fish dishes and desserts. Spring water included, wine to be paid for. Open from 19.30 to 22.00, reservation required. Extra charge of € 15 per person; free for guests of the Hotel La Duna Bianca and for children up to 1 year old. The right place to taste genuine specialities from Sardinian cuisine: typical cold meats, salamis and cheeses accompanied by our famous pane carasau, meat-based hors d’oeuvres, delicious first courses such as gli ciusoni or the zuppa gallurese, and desserts like seadas. 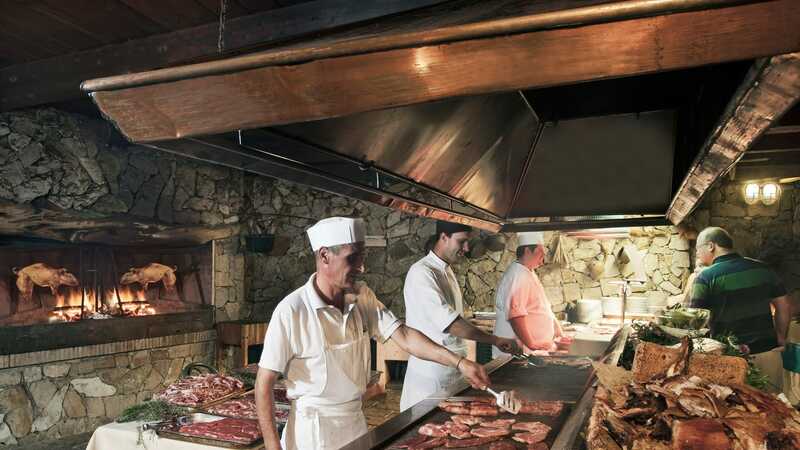 Among the restaurant’s specialities there are spit-roasted meats, such as the famous porcetto, or suckling pig. Raised among the Gallura countryside these meats are cooked over an open grill as you watch, following the traditional Sardinian method. Spring water and house wine is included. Buffet dinner from 19.30 22.00, reservation required and no extra charge. A romantic setting and candlelight are perfect for letting yourself be delighted by our chef’s flights of fancy and an excellent glass of Sardinian Vermentino. Lobster straight from the tank (extra charge). Attentive waiter service. Spring water included, wine to be paid for. Open from 19.30 to 22.00, reservation required. Extra charge of € 15 per person, free for guests at the Hotel La Duna Bianca and for children aged up to 1 year old. Any extras are to be paid for. Dedicated to our youngest guests, this little restaurant with its spacious veranda offers food that is imaginative yet carefully thought out. Genuine products or those with zero kms: all the vegetables and eggs come directly from the resort’s own vegetable garden and aviary collected directly by the children themselves. Open every day (except Saturday) for dinner from 7.00 pm to 8.00 pm (no extra charge) and for lunch from 12.30 pm to 1.30 pm (with extra charge for children on half board). Reservation required at Duneland. The assistance of one parent is required for children up to 2 years old. In an elegant and sophisticated restaurant setting overlooking the Hotel Le Sabine’s illuminated swimming pool, the buffet dinner with its rich Mediterranean menu is prepared by our chef as you watch according to Show Cooking tradition. Artistically created hors d’oeuvres, imaginative first courses combining different textures and flavours, main courses of either fish or meat, and a wide variety of desserts. Spring water included, wine to be paid for. Open from 19.30 to 22.00, reservation required. Extra charge of € 12 per person, free for guests at the Hotels Le Sabine and La Duna Bianca and for children up to 1 year old. 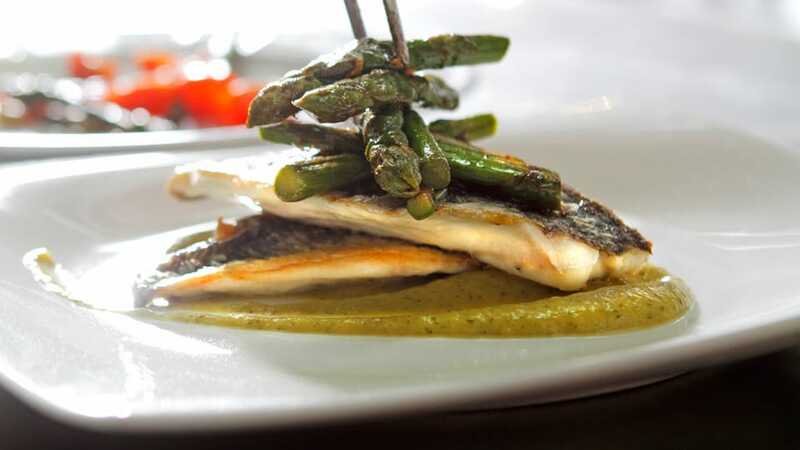 Elegant à la carte restaurant with exclusive dishes created by our chefs using meat and fish and featuring waiter service, reserved for guests over the age of 14. Spring water included, wine to be paid for. Open from 19:30 to 22:00, reservation required. Extra charge of € 20 per person. 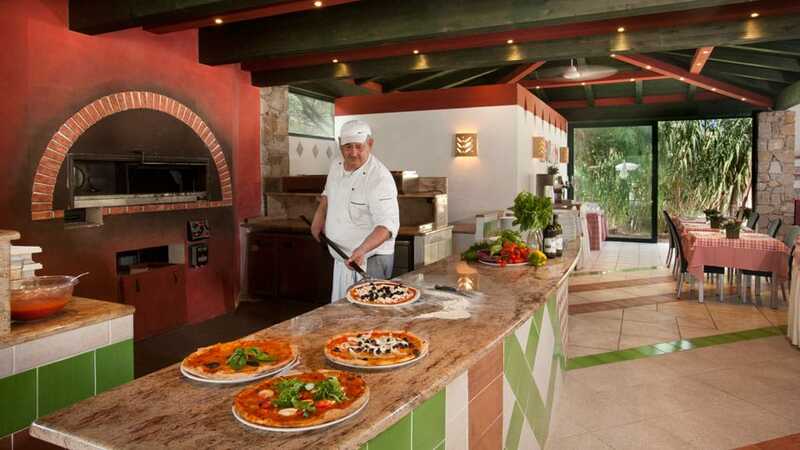 In a cheerful and informal atmosphere, you can enjoy delicious pizzas cooked in a wood-fired oven, tasty hors d’oeuvres, spaghetti and ice creams with waiter service. Spring water, house wine, draught beer and soft drinks included. Open from 19.30 to 22.00, reservation required. No extra charge.